Keeping the trees well trimmed will not only give your landscape a clean look but it will also stimulate good growth. You must choose a reliable company for regular tree pruning which is essential to improving the size and quality of trees in your landscape. You can rely on our skilled workers to use all tree trimming safety measures while pruning and trimming your trees. To learn more about our tree trimming for your Buckley property and the costs associated with our services, give us a call. One of our team members will be glad to help you. 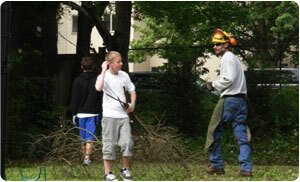 Tree pruning is very essential because it helps maintain the well-being of trees. The arborists selectively remove the dead, decayed or diseased branches so that the trees grow fuller and healthier. Moreover, the issues surrounding dead branches are also addressed when they are removed strategically. 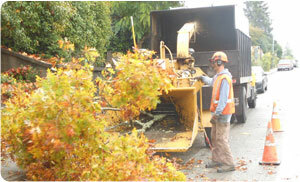 We have been offering pruning services for Buckley residents for a long time now. As there are various types of pruning, you need to work with an arborist to determine the right type of pruning for your trees. Our arborists are well trained and know the various techniques for pruning trees of all types, sizes, and shapes. If you want your trees to look there very best give us a call! You can trust us as we know how to prune trees, regardless of their height, size or condition. We are proud of our list of repeat customers who are happy with the tree pruning services we provide. 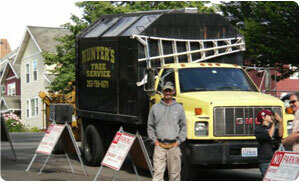 If you need tree trimming or pruning services in Buckley, call Hunter’s Tree Service at (253) 777-1938. We look forward to speaking with you!